Pete grew up in the Yorkshire Dales but now lives in the creative oasis of Moniaive. Classical piano lessons at school proved uninspiring and after a few years of not playing at all he taught himself to play accordion by ear. This led him into the local folk scene, playing with the ‘Three Peaks Ceilidh Band’. In 1991 he went to live at Laurieston Hall community in Dumfries & Galloway and encountered circle dance music, largely based on Middle Eastern and Balkan tunes. He was a member of Galloway alternative folk band ‘Quirkus’. 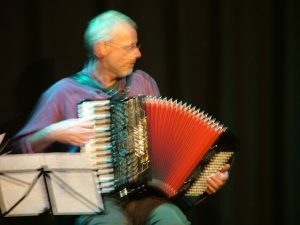 In past lives he has been a mechanical engineer, plumber & electrician, farmer and software developer, but in 1998 started playing music full time.The bright lights beckoned and Edinburgh became a regular haunt where he played with singer/songwriter ‘Lorraine Jordan’, played cafe accordion, and music for theatre productions with ‘Benchtours’ and ‘Grid Iron’. 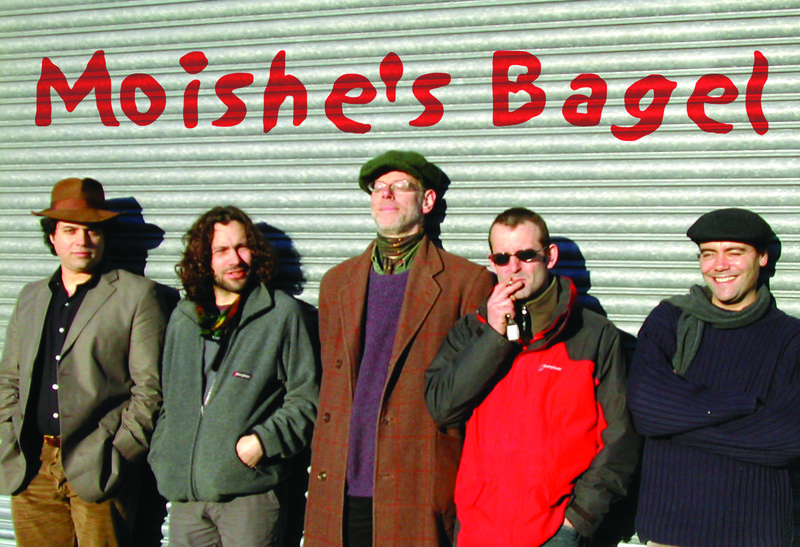 A growing interest in world music and jazz eventually led to tango band ‘Que Tangazo’ and then to ‘Moishe’s Bagel’. For a few years he played with ‘Dougie MacLean’ both in his Trio and in ‘The MacLean Project’. He’s also played with ‘Cera Impala’, ‘Blueflint’, and ‘Lise Sinclair’. As well as with Moishe’s Bagel he currently plays in a duo with Greg Lawson, in a duo with singer/songwriter ‘Breezy Lee’ and with Galloway based ceilidh band ‘Whirligig’. His rootsy box groove and encyclopaedic knowledge of tunes are the perfect compliment to Greg’s firebrand fiddle.